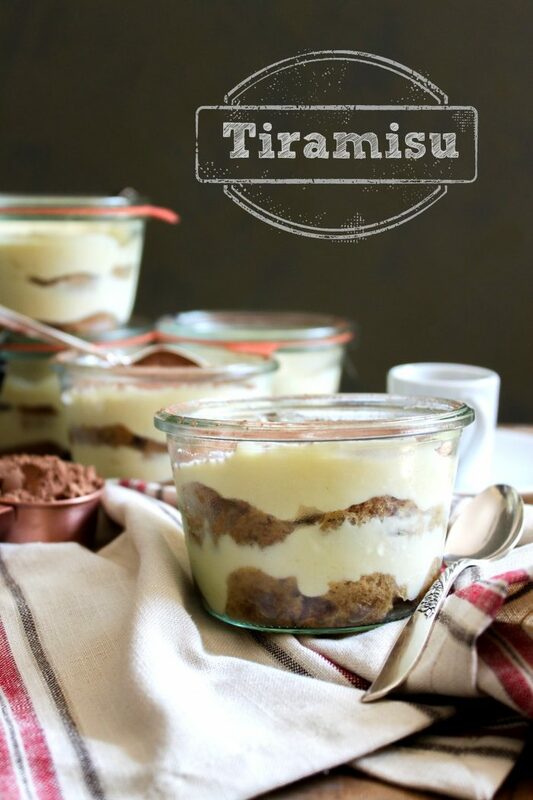 Tiramisu is a classic layered dessert that consists of ladyfingers soaked in espresso topped with sweet mascarpone. Tiramisu has the power to make non-coffee drinkers suddenly like coffee. I was first introduce to this dessert as a kid. I remember the first time my mom shared her plate of tiramisu with me at an Italian restaurant. Immediately, I was hooked. Back then, I wasn’t allowed to drink coffee. My parents always said I wouldn’t like it because it was bitter and more importantly, it was reserved for grown-ups. At 8 years old, I believed everything they said; but I couldn’t help but wonder how espresso could be so bad for kids when it made this dessert taste so good. 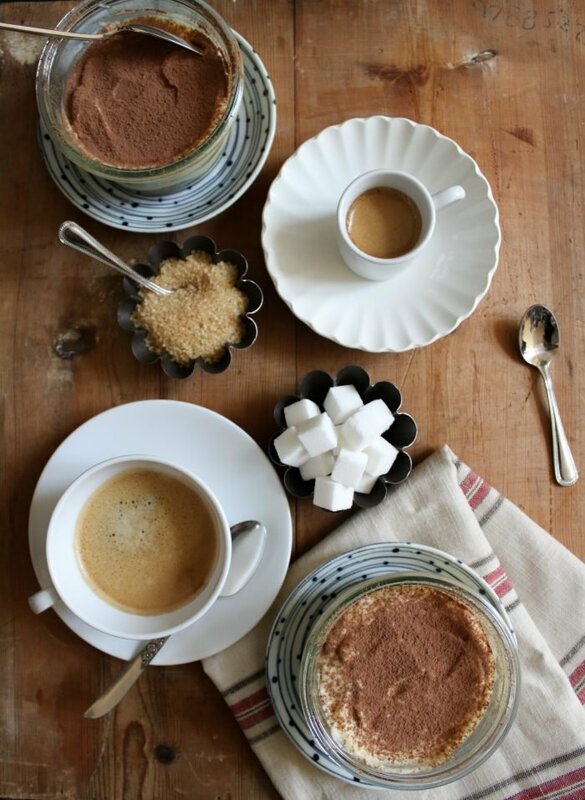 Luckily, tiramisu is spiked with just a little touch of espresso. It’s not enough caffeine to keep you awake at night. I would know because I am very sensitive to caffeine. Since this dessert uses a good amount of alcohol, I do not suggest serving it to children. If you do have little ones running around the house, just omit the rum and dilute the espresso. 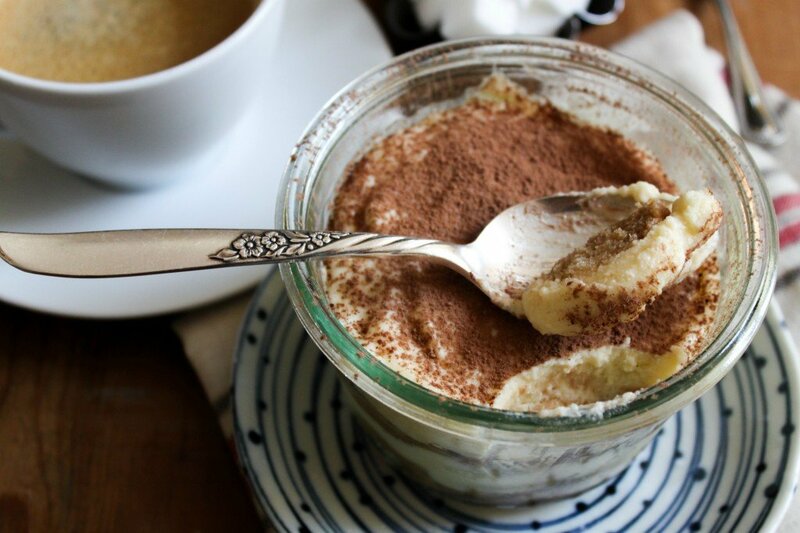 Tiramisu is a classic and simple dessert that is easy to make at home. Sure there are multiple updated variations on this timeless dessert– tiramisu cake, tiramisu pancakes, tiramisu ice cream, however I still enjoy the original. Start by mixing strong espresso with a little rum (or traditionally, sweet Marsala wine). Set this syrup aside as you prepare the mascarpone filling. Set up a bain-marie to pasteurize and cook the yolks. 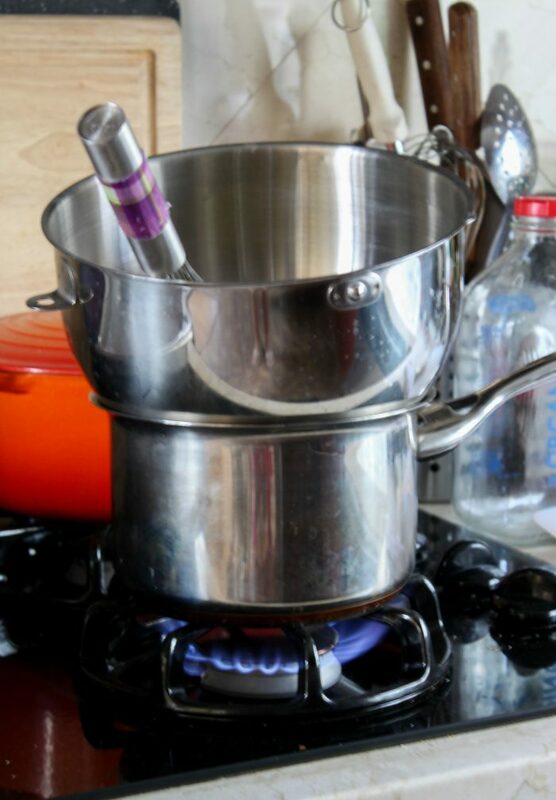 This is done by placing a bowl over a pot of gently simmering water. Do not let the bowl touch the water. About an inch of water in the pot is enough. The steam from the water will heat up the bowl. In the bowl, mix together the sugar, yolks, and egg. At this point, you have to roll up your sleeves and get ready to whisk. Continually whisk and agitate the mixture in order to evenly distribute the heat and prevent the eggs from curdling. Cook the mixture until it reads 140 degrees F on a kitchen thermometer. The mixture should be a light pale yellow in color and slightly thicker. Transfer bowl to a stand mixer and whip mixture until it has cooled to room temperature. Then add the mascarpone cheese and vanilla extract. Mix until combined. Now, you are ready to assemble. Tiramisu is traditionally made in one large pan. It is a layered dessert that alternates between layers of espresso soaked layer fingers and mascarpone filling. The top layer is a mascarpone filling dusted with cocoa powder. If you’re feeling fancy, you can even add some shaved chocolate on top for extra drama. I bought this package of ladyfingers from my recent Italy trip, but I have seen the same brand sold at a nearby Italian bakery. If you can’t find traditional Italian ladyfingers, Trader Joe’s and most supermarkets sell similar ladyfingers. And if all else fails, just try any package that says ‘ladyfinger cookies.’ The results will still taste great. Mascarpone can be found pretty much anywhere these days. I like to buy mascarpone at Trader Joe’s; its one of the more affordable places to get it. 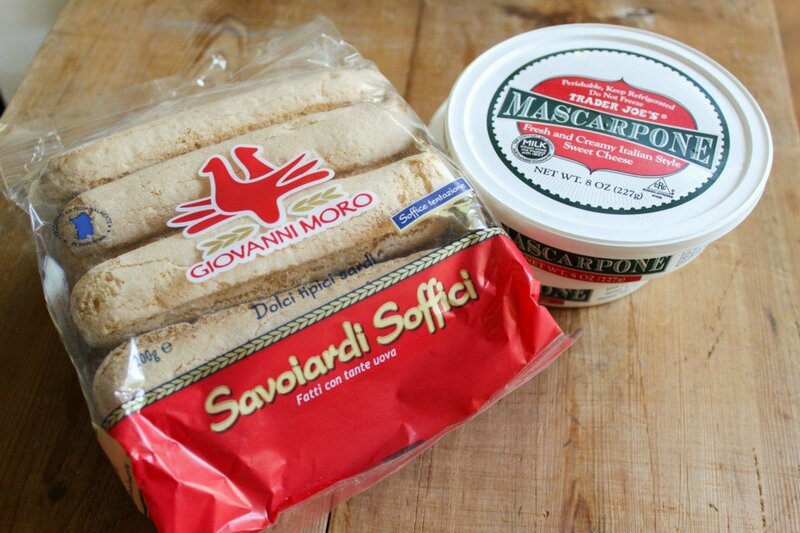 Mascarpone is usually stocked with the cheeses, not necessarily with the dairy products. Combine espresso and marsala wine in a bowl. Set aside. In the bowl of a stand mixer, combine granulated sugar, egg yolks, and whole egg. Place bowl over a pot of barely simmering water. Stand over the bowl and continually whisk mixture together until it becomes light yellow in color. Continue to whisk until mixture slightly thickens and reads a temperature of 140 degrees F. Remove from heat. Place bowl in mixer fitted with whisk attachment. Whip on medium-high speed until the hot mixture has cooled to room temperature. Stop machine and add the mascarpone in two additions. Whisk on medium speed until smooth. Add vanilla extract and mix until incorporated. *If making individual portions, reserve 4-5 ladyfingers per serving. Dip each ladyfinger in coffee-rum solution. Do not soak the ladyfinger, just quickly dip it in to absorb some moisture. Place 2-3 ladyfinger in the bottom of individual cups, or line about 12 on the bottom of a baking pan. *Note: number of ladyfingers needed will vary according to size of ladyfingers and size of container being used. Spread 1/2 of mascarpone filing in an even layer over ladyfingers. Repeat second layer of dipped ladyfingers, follow with remaining half of mascarpone filling. Smooth the top layer using the back of a spoon or a mini offset spatula. Combine cocoa powder and confectioners' sugar in a small bowl. Dust the surface of the tiramisu with cocoa-sugar mixture using a small strainer. Cover with plastic wrap or cover with lid, and chill for at least 2 hours or up to overnight. Serve individual servings or cut into portions. 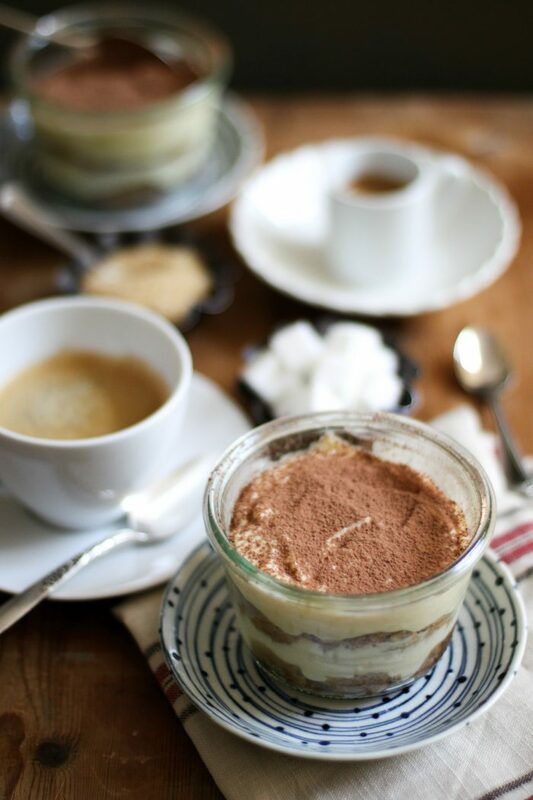 The first time I had tiramisù was on a British Airways flight back in 1992! And I fell in love with it since.